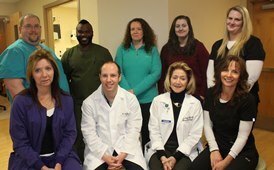 The Wound and Hyperbaric Center at Good Samaritan Hospital: Don’t let a chronic wound keep you from enjoying your life. 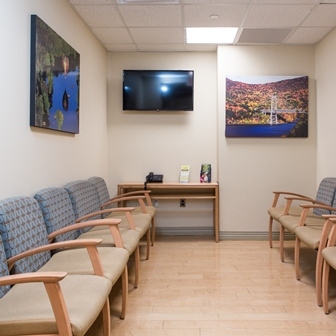 Find exceptional, comprehensive care and compassionate treatment close to home at the Wound and Hyperbaric Center at Good Samaritan Hospital, a member of the Westchester Medical Center Health Network (WMCHealth). We heal wounds using an efficient, multi-disciplinary team approach offering patients customized and comprehensive evaluations and therapies. 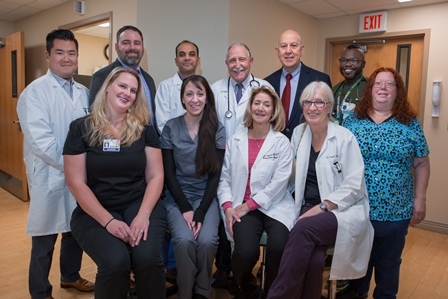 The Good Samaritan Hospital Wound and Hyperbaric Center work collaboratively with primary physicians and other outpatient services to ensure that patients receive the most complete evaluation and treatment. We focus on restoring the natural healing process, often without surgery. Individualized treatment techniques take advantage of recent advances in wound care, while minimizing patient discomfort and inconvenience. We are experts in coordinating care with primary physicians, diabetic educators, lymphedema services and other specialties (home care and medical supply companies, etc.) to provide our patients with advanced personalized therapies. Our specialists study the wound itself, along with the patient's overall medical condition to determine which course of action to take. We develop a customized treatment plan, with regular office visits to review progress and adjust treatment as needed to facilitate healing. 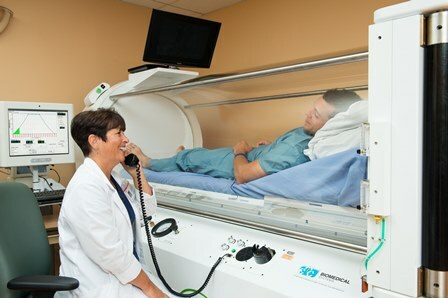 A very important component in wound healing is Hyperbaric Oxygen Therapy (HBOT) for patients with wounds who have not responded to other treatment. HBOT supplies 100% pure pressurized oxygen the body needs to stimulate and support healing and restore the ability to repair itself. Patients simply lie in a comfortable chamber, relax and while watching a movie or TV, or listen to music while their body naturally heals. 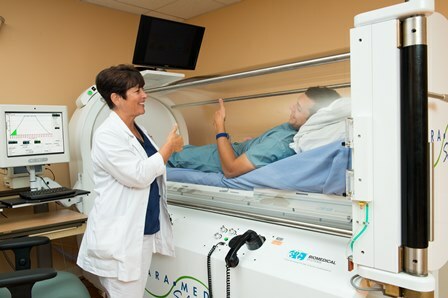 Our Hyperbaric Center is one of the select few in New York State accredited by the Undersea and Hyperbaric Medical Society. Our highly trained, caring staff utilizes advanced technologies and a multi-disciplinary approach to healing. 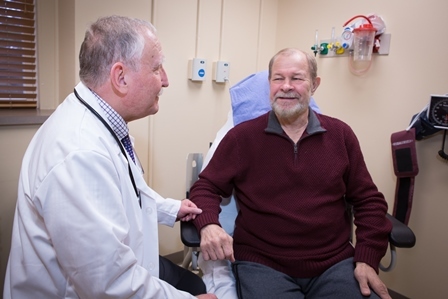 Physicians and health care professionals are available to individualize treatment plans for each patient, including diagnosis, treatment, education and prevention. Rabbi Dov Bidnick, 78, was born in Brooklyn, NY but spent 46 years in Florida before returning to Monsey, NY to spend more time with his son and grandchildren. He and his wife Judi now live at the Fountainview Assisted Living Facility in Monsey, NY. Rabbi Dov has had a rich and exciting life; he was a Jewish Day School principal and then a Rabbi at a synagogue for 20 years before embarking on an international fundraising career that led him to 67 cities, across five continents. 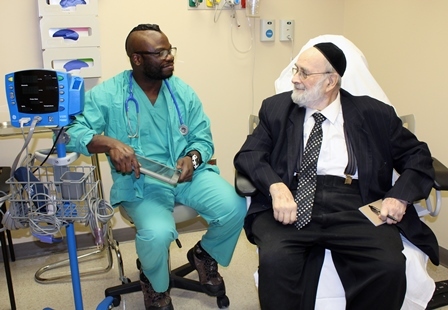 He has an impressive knack for remembering nearly everyone he has met through his travels and his experience at Good Samaritan Hospital is no different. 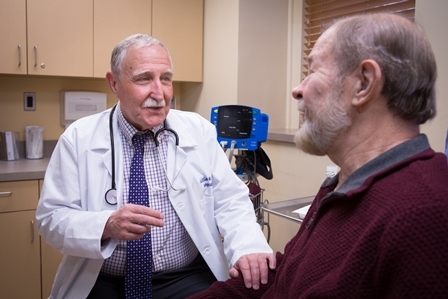 Bidnick first came to The Wound and Hyperbaric Center at Good Samaritan Hospital in February 2018 to receive therapy for a persistent wound on his right leg and foot. He has been receiving wound care treatment from George Liberis, MD including medicinal therapies and wound dressings. Bidnick has been overwhelmed by the kindness and personal care that Dr. Liberis provides. “Dr. Liberis even invited my wife and me to come to his office to meet with him and his wife for a social visit; he goes above and beyond,” said Bidnick. 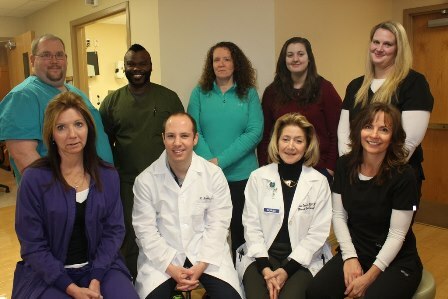 The impressive, patient-first care is consistent across The Wound and Hyperbaric Center “Clay, Heidi, Ann, Amelia and the other nurses and techs in the Wound Center are outstanding,” said Bidnick.